Move, Inc. provides unsurpassed real estate information, tools and professional expertise across a family of websites and mobile experiences for consumers and real estate professionals through all stages of the home journey. The Move network includes realtor.com® as well as Doorsteps®, Moving.com™ and SeniorHousingNet℠. Move also offers a complete solution of software products and services to help real estate professionals serve their clients and grow their business in a digital world, including ListHub™, the nation’s leading listings syndicator and centralized intelligence platform for the real estate industry; Top Producer® Systems; FiveStreetSM and Reesio as well as many free services. It has a perpetual license to operate realtor.com® from the National Association of REALTORS®. 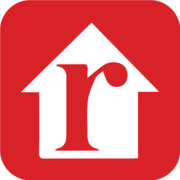 Realtor.com® Gives HGTV Dream Home Participants an "Entryway to $20K"